When will be Judgement Day next episode air date? Is Judgement Day renewed or cancelled? Where to countdown Judgement Day air dates? Is Judgement Day worth watching? 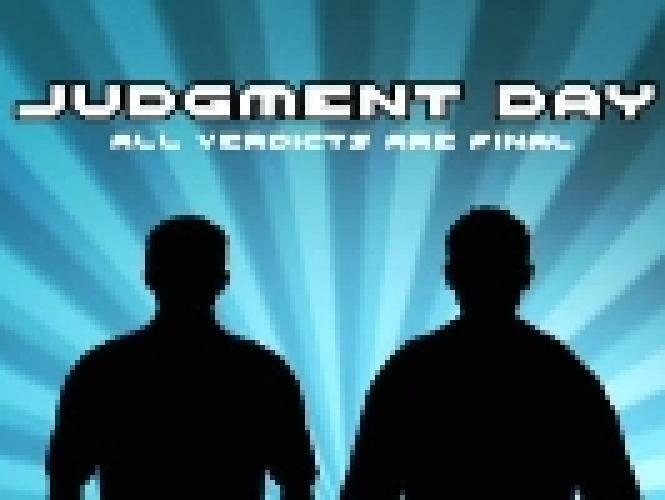 Judgement Day is no punches pulled opinion based gaming review show. Each episode several games are reviewed and given an overall score out of ten by each of the two hosts. JD also features hardware reviews, classic gaming segments and game vs game faceoffs. Rather than being produced in a studio, each episode is shot on-location at random (usually outdoor) locations throughout North America. Judgement Day was G4's only original series that was not produced in-house at launch and is produced by Victor Lucas' Greedy Productions. Judgement Day has over 200 hundred episodes under it's belt and even though the TechTV merger brought another review show, X-Play, JD continues. JD's reviews are much more opinion based than that of X-Play and often times the hosts have different views on particular games and arguements ensue. EpisoDate.com is your TV show guide to Countdown Judgement Day Episode Air Dates and to stay in touch with Judgement Day next episode Air Date and your others favorite TV Shows. Add the shows you like to a "Watchlist" and let the site take it from there.